Now’s the time to order announcements. 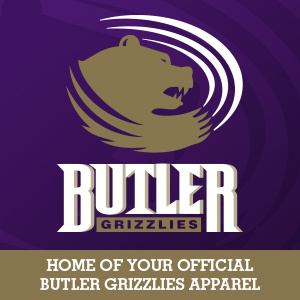 Purple jacket with the Grizzly Power Head and Butler Grizzlies embroidered in white and light gray on the upper front. 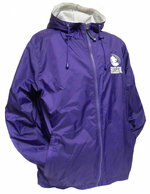 Jacket has a drawstring hood, elasticized cuffs and bottom, covered side pockets with zipper closures. Purple outside is 100% nylon. Light heather gray liner is 88% polyester 12% cotton.